If you are in the market for a below ground shelter or bunker, we have an assortment of designs to choose from. 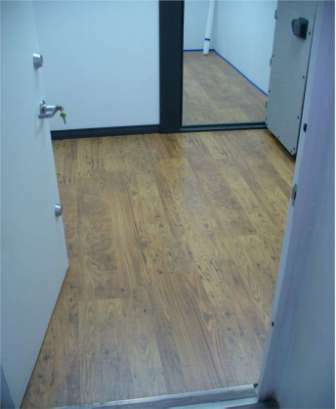 Our special this month is an 8x20x7ft tall interior. Which includes one sliding entry door, 4ft landing at bottom of stairs with swing in fire rated vault door, two vents, wood flooring or carpet. 6 months of freezedried food for 2 adults and 4 children. 30 gals of water - Hot and cold water dispenser. A portable toilet with partition in the back with exhaust fan. Lighting and electrical. (generator optional). Fold down beds, Flashlights, fire extinguisher, first aid kit, emergency radio, folding chairs, Cell phone booster and more. $48,000 (does not include delivery or installation). Larger sizes and options available. After a nuclear explosion, mattr vaporized in the resulting fireball is exposed to neutrons from the explosion, absorbs them, and becomes radioactive. When this material condenses in the cloud, it forms dust and light sandy material that resembles ground pumice. The fallout emits both beta particles and gamma rays. Much of this highly radioactive material then falls to earth, subjecting anything within the line of sight to radiation, a significant hazard. 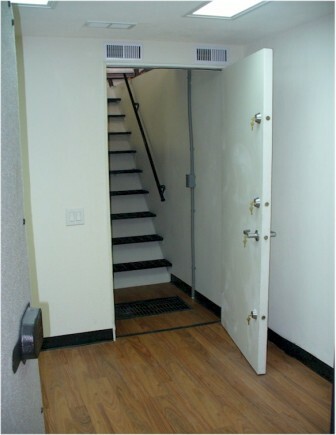 A fallout shelter is designed to allow its occupants to minimize exposure to harmful fallout until radioactivity has decayed to a safer level. A basic fallout shelter consists of shields that reduce gamma ray exposure by a factor of 1000. The required shielding can be accomplished with 10 times the amount of any quantity of material capable of cutting gamma ray effects in half. Shields that reduce gamma ray intensity by 50% (1/2) include 1 cm (0.4 inch) of lead, 6 cm (2.4 inches) of concrete, 9 cm (3.6 inches) of packed dirt or 150 m (500 ft) of air. When multiple thicknesses are built, the shielding multiplies. Thus, a practical fallout shield is ten halving-thicknesses of packed dirt, reducing gamma rays by 1024 times (210). 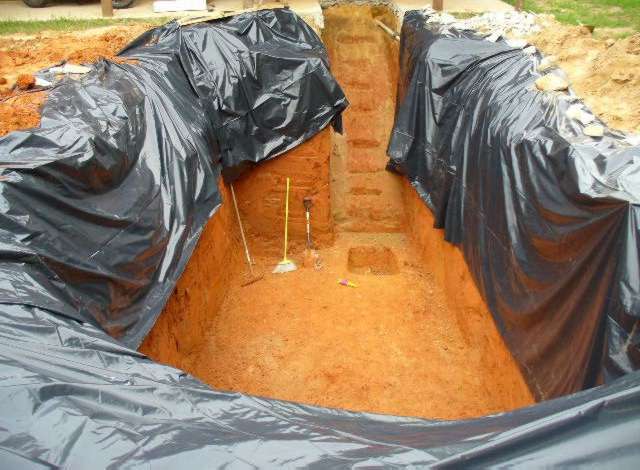 Usually, an expedient purpose-built fallout shelter is a trench, with a strong roof buried by ~1 m (3 ft) of dirt. The two ends of the trench have ramps or entrances at right angles to the trench, so that gamma rays cannot enter (they can travel only in straight lines). Fallout shelter sign in Chinatown, New York City Unfiltered air is safe, since the most dangerous fallout has the consistency of sand or finely ground pumice. Such large particles are not easily ingested into the soft tissues of the body, so extensive filters are not required. Any exposure to fine dust is far less hazardous than exposure to the gamma from the fallout outside the shelter. Dust fine enough to pass the entrance will probably pass through the shelter. A battery-powered radio is very helpful to get reports of fallout patterns and clearance. In many countries (including the U.S.) civilian radio stations have emergency generators with enough fuel to operate for extended periods without commercial electricity. It is possible to construct an electrometer-type radiation meter called the Kearny Fallout Meter from plans with just a coffee can or pail, gypsum board, monofilament fishing line, and aluminum foil. Plans are in the reference "Nuclear War Survival Skills"
Pictures of a below ground steel and concrete vault room and safe room with 30 yds of concrete over steel vault. 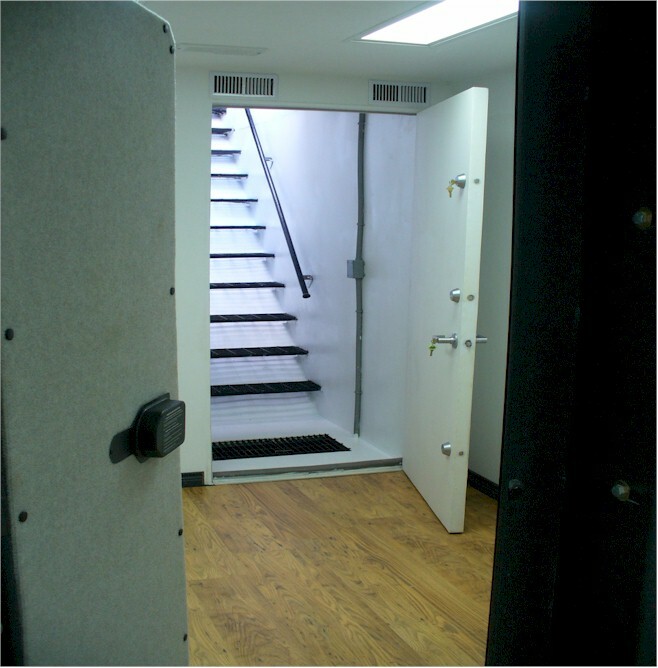 Stair well with motion detector operated lighting, grating stairs, back-up sump pump located beneath vault, grating stairwell, handrails, Very heavy duty 2" Steel safe room door with 3 hour fire rating with triple deadbolts (entry door). 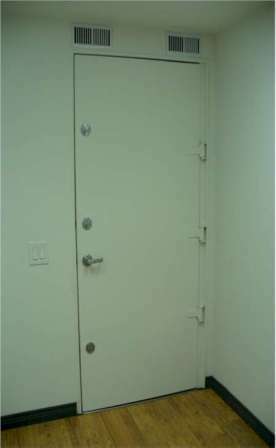 Storm Shelter room and vault room with cable, dsl, electric, wood grain floors. 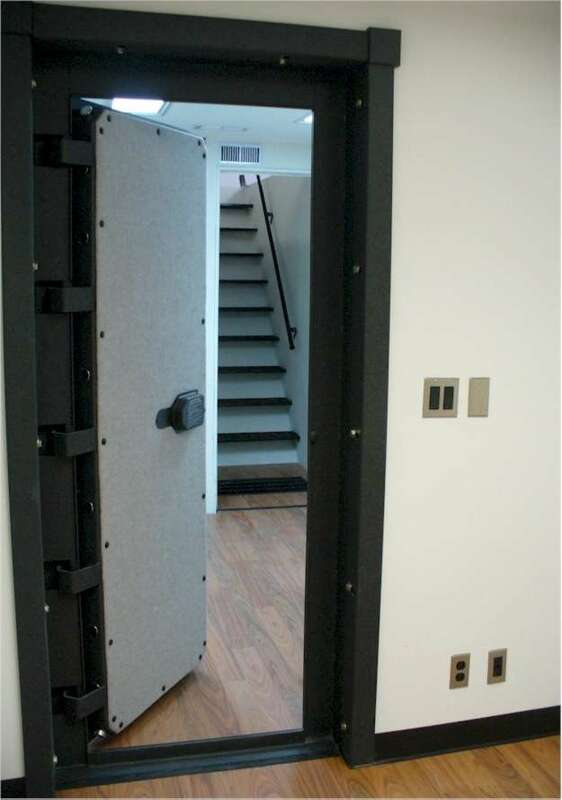 Storm Shelter and Vault Room is separated with a double steel sheets with 1/4" thick steel channel reinforcement for door opening, 8" thick concrete wall with reinforcement bar and structural support (from top during pour) fitted with a Ft. Knox Vault Door. Membrane in wall in vault room behind finished sheetrock helps control any moisture. The wall is as follows..wall configuration >.Paint, textured sheetrock, moisture membrane, airspace, steel wall, 14" of concrete..edge of excavation hole> There is an airspace formed above steel vault under concrete to help control any condensation. Inside vault room ceiling there is a 6" airspace with insulation also. 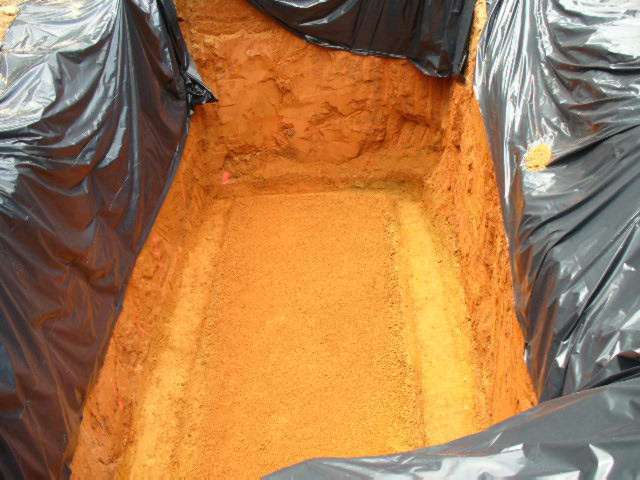 "The Walls of a Concrete Vault Room will hold moisture like a sponge." 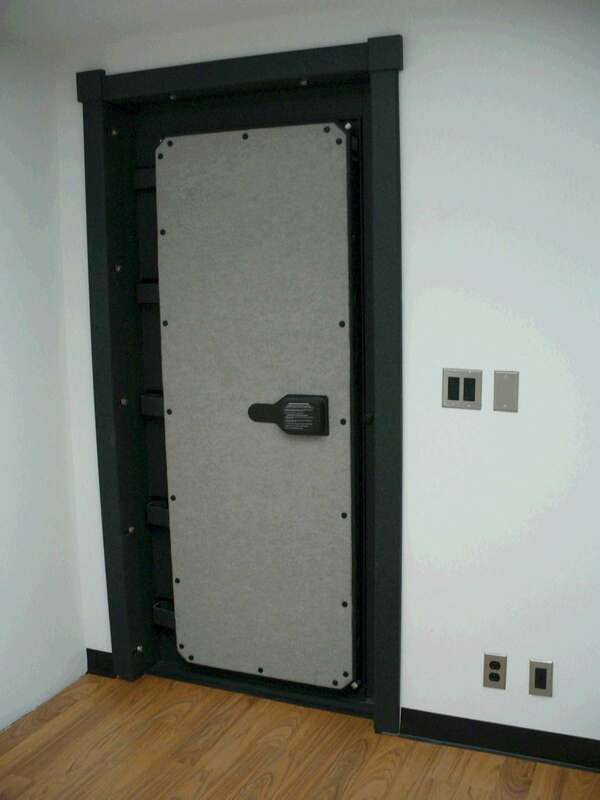 The use of a steel inner vault with concrete shell will minimize any moisture from entering into the vault room. 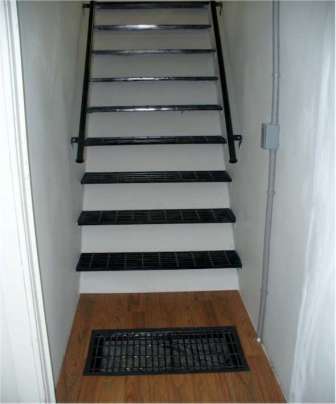 A de-humidifier is used to control any minor moisture that may enter the room from the stairwell. 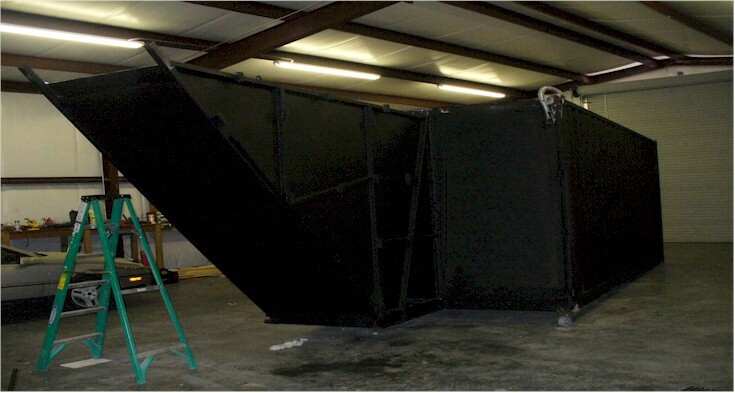 This is a fire free design and may be used as a storm shelter if needed. Room for fold down beds or chairs in first room. Guns or Valuables in the back vault room. Both rooms have 2 recessed lighting fixtures with 2 lights apiece. Venting had protective debris gaurds built in and is internal and is not visible from the above ground level. Steel vault is set on a 14" concrete slab, and anchored.Gasket between steel structure and Slab. 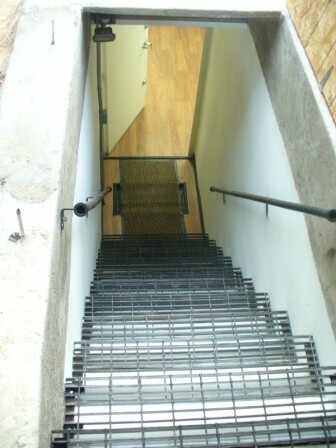 Sump hole is located below grating below stair well. Concrete is poured completely over the top and sides after anchoring is completed. This will secure vault and keep it from floating. 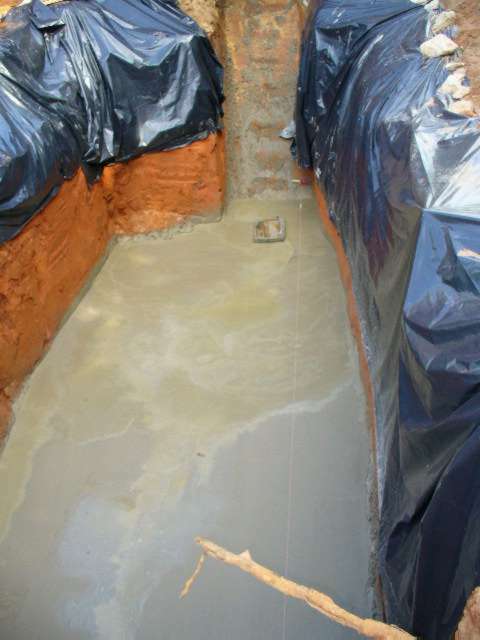 These below ground vaults may be located beneath a new home prior to construction or next to a house and a slab or new room may be added over the top. 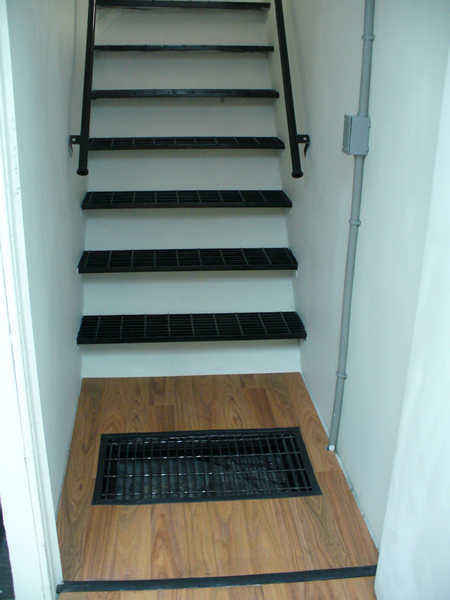 All venting is located in such a way as not to allow outside air to enter into the gun room. Sizes vary.. this one is a little over 32 ft. long with the stairwell. Broadband, phone, electrical, recessed lighting, sump pump, steel core shelter with 12" of concrete over all sides and top, safe room door with 4 locks, vault door, wood flooring, protected venting, interior moisture barrier, stairwell with grating and 2 handrails and a few other options. Note: The cost per square ft of a vault this size and type is almost half the cost per sq. 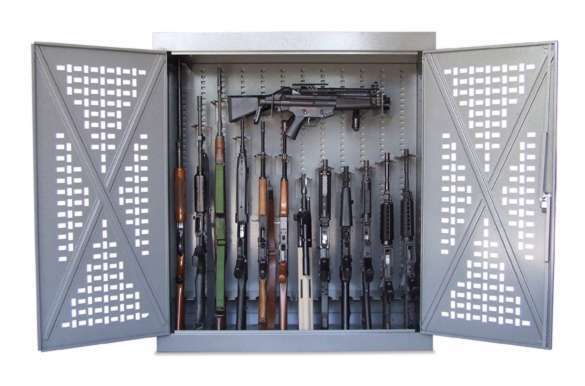 ft of a small gun safe.